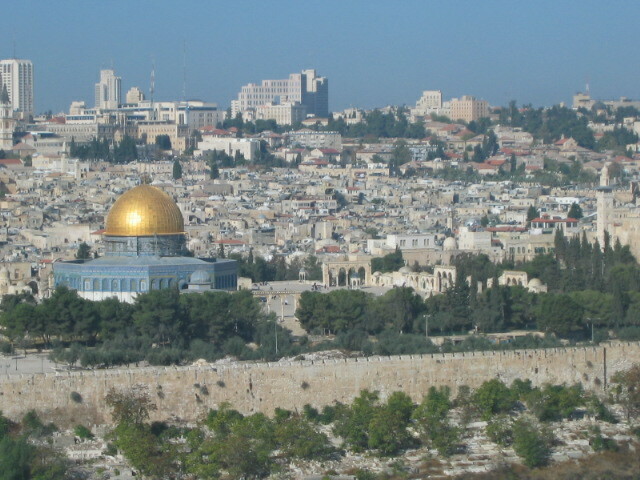 On this page, we will post memories from our personal Holy Land diary. In 2004, we had the blessing of visiting Holy Land Israel – the Land of the Bible, home of the new and old Testaments – along with a group of partners from Benny Hinn Ministry around the world. We followed footsteps of Lord by going to places like Nazareth, Jerusalem, Capernaum and Bethesda and visited many biblical places such as Sea of Galilee, Mount of Olives, Gethsemane, Garden Tomb, Upper Room etc. etc. This page will highlight the wonders and charm of the region and its relevance to the historical and biblical roots. How great is thy love ! It was a day in October 2004. As usual, both I and Mona got up early in the morning to spend our time with the Lord. We were very “new” in the Lord at that time. As I was preparing ‘bed’ tea for both of us, I switched on TV to watch Pastor Benny Hinn’s early morning show “This is your day”. At the end of the show, when Pastor Benny announced about his plan to take his partners to Holy land for a spiritual tour, I was thrilled to know about it. I immediately decided that when I go to my office today, I will browse Pastor Benny’s website to read details about the tour. I am a computer professional and majority of the time I am sitting working at my office desktop, if I am not in business or technical meetings. However, as soon as I reached my office, I had to work on some urgent technical issues and almost forgot about the website. At around 4:30 PM when after fixing the issue, I had a chance to relax at my office and take a look at my “To Do” list, I realized my plan to visit the website. I wasted no time and started browsing the site. As I browsed the site, I became excited to know about various biblical places like Nazareth, Jerusalem, Capernaum, Bethesda, Gethsemane etc. that were part of itinery of this tour - particularly when I read about Baptism in Jordan river, tears started rolling down my eyes. My spirit immediately longed to be part of this tour but I knew that it would be very difficult for me to go on this tour as I realised there were many obstacles in my attending this tour. One of the main obstacle was to get vacation for two weeks. At that time, I was working on three projects, all of which were in crucial final stages. Getting a two week’s vacation at these stages of the projects, that too at short notice, seemed impossible. All my drive back home that evening, tears kept rolling down my eyes as I was thinking of how to be part of this tour. From that day onward, whenever I got up in the morning to spend time with the Lord, I started praying Him to help me to attend this tour as “I want to walk on those places where YOU had walked, I want to touch those things which YOU have touched”. As our God has promised -"I know the plans I have for you. They are plans for good and not for evil, to give you a future and a hope." (Jeremiah 29:11). Lord had a plan for us, all our obstacles were cleared without much efforts and soon we were boarding a flight to Israel. We arrived at Tel Aviv airport. From there, we were taken to holy city of Jerusalem by road. There was a group of about 1500 partners of Benny Hinn ministry from all over the world attending the tour. As it was difficult to manage & transport such a large group to same site on the same day, organizers divided us in smaller group and each group was taken to different places on a particular day. 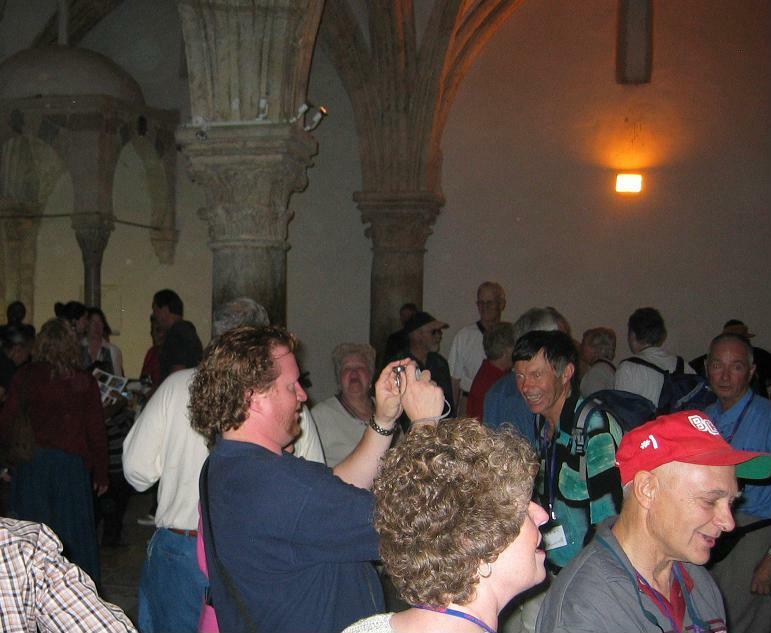 On second day, our group was taken to upper room, the place where Holy spirit came down from heaven as fire & wind on the day of Pentecost when a group of believers including Peter, James and John were praying together and all were filled with the spirit and started speaking in heavenly languages. (Act 2: 1-4). As soon as we entered the place, we could not resist the spiritual environment there and started praise & worship in loud voice. (Photo above on the left) As we were praising, I felt a strong presence of Lord. It seemed He was trying to tell me something but being new in the Lord; I was not able to comprehend. His gentle voice seemed too feeble for me to understand. However, I kept on praying.